The bottle you’ll enjoy with dinner tonight likely wasn’t produced at a winery, or by a winemaker. Instead, most American bottles are little more than grape-based processed food product. There is a general assumption about wine: it’s made by a winery, and its name will be on the label. One imagines a winemaker in his vineyards, inspecting bunches of grapes. Maybe his dogs are chasing rabbits between the rows of vines. At night, he pops open a bottle of his own creation to share with friends and family. It is a romantic ideal, but for most bottles sold in the U.S., it’s also untrue. Of the top 30 wine brands in the United States, not a single one of them grows, produces and bottles its own wines. For the brands doing big volume, the formula is: buy tankers of bulk juice, and slap a label on it. Those bottles may look beautiful, implying a bucolic wine-y setting, but the cold hard fact is that the juice within is just a trademark coupled with a savvy marketing plan. Since most people like to stick with familiar brands and cheap prices, it’s a necessity. Americans consumed 700 million gallons of wine last year, 80 percent of which sold for less than $10, according to ACNeilsen and The Beverage Information Group. No amount of mom-and-pop wineries could ever feed that demand, or that low price point. Similarly, if you walk into any wine shop—in any town, in any state—you will probably see Rock Rabbit, Mark West, Smoking Loon, or Pepperwood Grove. When you consider there are over 38,000 retail wine shops in the U.S., that’s an amazing logistical feat. No winery—at least the kind of winery that resides in our collective imagination—could ever supply and distribute that amount of product. “Customers should not look down on those scenarios as fraud; this is the reality of wine industry. 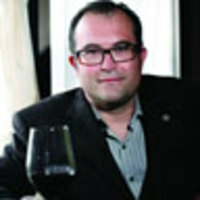 All wine producers produce many their brands, large or small, the same way, “ says Jonathan Gelula of KDM Global Partners, a wine branding company. “The consumer doesn’t know. They think it comes from a guy who farmed his land and made it in his small barrels in his little winery. This stuff is not wine; it’s a processed food product,” counters David Moore, an owner of Moore Brothers Wine Shops, a small retail wine chain on the East Coast. So, who actually makes the wines? Some, like Purple Wine Company, have their own production and bottling facilities. Many are made by wine processing companies, such as Golden State Vintners and Scheid Vineyards. These companies are one-stop-shopping for creating wine brands. They will make the wine, bottle it, and slap a label of your own making on the bottles. Want to create an Obama Vineyards Napa Valley Syrah? Not a problem, as long as you have the cash. These winery-less wines are not just found at the lower tier of the wine market. Sometimes a luxury wine is born without a winery, a vineyard, and possibly even without a winemaker. These wines are made in custom crush facilities, which are basically a rent-a-winery. Many well-known, hugely-respected luxury wines are, or once were, made in custom crush facilities. This includes Pahlmeyer, Fife, Bryant Family, Au Bon Climat, Qupe, Colgin, Charles Creek, Nickel & Nickel, and Staglin. There at least 1,500 such “virtual wineries” in the U.S. alone. Things get weirder still. Sometimes wines are made by actual wineries, from their own vineyards, by their own winemakers…. but they hide behind a virtual label. This is often done when the winery in question has excess inventory that it needs to sell off. These wines are sold at steep discounts to a wholesaler who repackages the wine. Ever been to a wine store, find a wine you like, but never find it again, except at that specific store? You are not alone, and the phenomenon is growing. Wine and spirit chains are now creating their own private label wine brands—thousands of them—which are typically only available at their own stores. Such brands are highly lucrative, with profit margins often 20% higher than comparable wines. “For retailers, this is almost a no brainer. Companies like Total Wine [a large wine retailer based on the East Coast) and BevMo [based out of California] , are eating everyone else’s lunch. They discount national brands like crazy they sell their own brands at huge margins. Most of what they sell are private label wines.” says Gelula. For example, Total Wine, which has over 60 superstores on the East Coast and in California, stocks over 2,500 private label brands. 53% of their sales, nearly 2 million cases, from these private label wines and other wines they a similar level of control over. Steve Faith, Vice President of Wine Operations for Total Wine & More says, “I think people are looking for a good bottle of wine that they can take home every night, the quality will be there, and the taste profile they want, and they don’t care if it’s from a homey winery.” Mr. Faith also stresses that, along with bulk wines, their labels include second labels from well-known wineries and small-scale brands from Europe that would otherwise not reach the U.S. marketplace. “We are quite honest to our customers about this,” he says. The trend is expanding to all parts of the retail marketplace. Trader Joe’s has it’s “Two Buck Chuck” , Walmart has its Alcott Ridge, and 7-Eleven’s as its Thousand Oaks Vineyards. Mr. Gelula , whose company developed the 7-Eleven brand, says that these private labels are attractive to big-box retailer because it helps builds corporate branding and customer loyalty. For wine consumers who are looking for reliability and value, the de-wineryification of the wine market may not be of a huge concern. For those wine lovers who prefer to drink wines that are made by an actual winemaker working at a real winery, this is your moment to despair. Okay, that moment is over: there are still plenty of great wineries out there; you just have to search for them. The trick is to read the fine print. In wines made in America, look for the term “produced and bottled by” on the label. It may not sound like much, but it’s all you need to know. Terms like “cellared and bottled by” or “vinted and bottled by” do not mean the same thing. In fact, they imply that the wine was not actually made at the winery at all. In wines from other countries, look for similar terms. For instance, French wines will sport the term Mis en Bouteille au Domaine or Mis en Bouteille au Château. On Italian wine labels, look for Azienda Agricola or Imbottigliato all'origine. Whether you want value or authenticity is up to you. But you generally don’t get both.